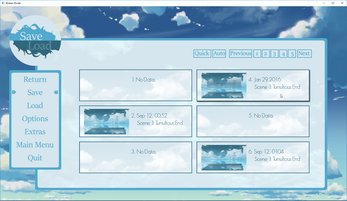 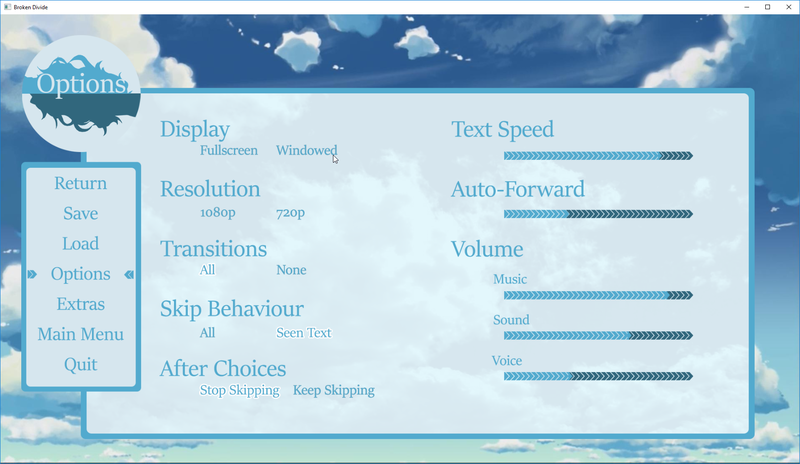 UI design and implementation for a Visual Novel project that ultimately got cancelled, but throwing away the assets seemed like a waste so i finished the coding so i could post it as a fully functional UI demo. - Design and Programming by Marionette. 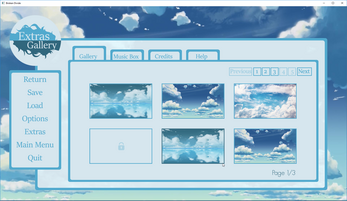 - Backgrounds/Character Images and Music not made by Marionette. 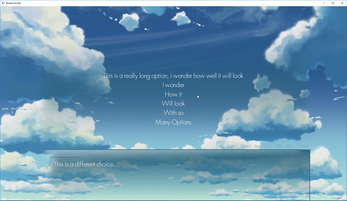 Unzip and run 'Broken Divide.exe' to play.